Gulf Oil is based out of Framingham, Massachusetts and is a producer of high-quality diesel and gasoline fuel exclusively sold through select dealers. With 100 years of experience blending fuels, Americans have come to trust Gulf fuels for their transport needs. Gulf has an accomplished reputation in the New England area for being a reliable, established source of fuel for motorists. Customers at certain Gulf locations may enjoy the benefit of using Gulf's E85 if their vehicle meets the flex fuel requirements. Although this option is only available to consumers at nine gas stations in New York and Massachusetts, Gulf is expanding this option to customers across other regions also. Gulf works hard to develop a growing source of ethanol-based fuels in order to reduce our dependence onlocal farmers, foreign oil, support and bolster the U.S. economy. 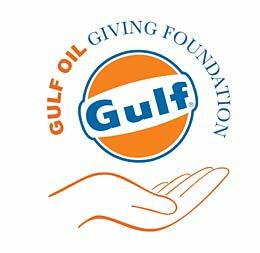 In addition to supplying dealers with motor fuels that are increasingly sourced in sustainable ways, Gulf has made a commitment to giving back to the community, both locally and through national parternships with organizations such as the American Cancer Society. If you already sell Gulf Oil or will become a dealer shortly, contact us at D&C Transportation and find out how we can meet your bulk fuel needs in a timely, cost-efficient manner. 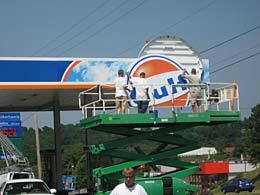 Source for information about Gulf Oil: www.gulfoil.com and various pages within that site.